Advertisers have a problem, and it’s worse than they thought. The decline of ad-supported television is driving down audience engagement with brands. A new analysis of consumer conversation patterns by Engagement Labs reveals conversation frequency among the most prolific consumer conversationalists—young people—has plummeted. Discover what's driving down audience engagement with brands. 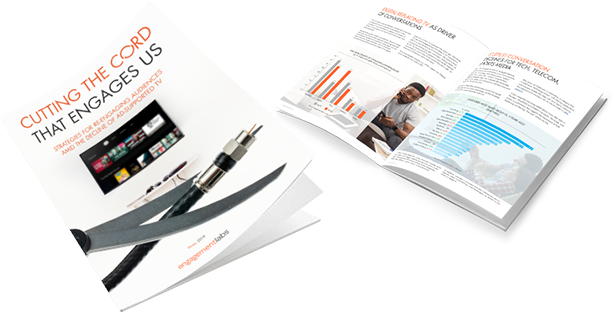 Gain critical, data-driven insights about how cord cutters impact consumer conversation. Improve social influence both in social media and in real life. Think differently about media buying and creative strategies.